The two people killed at Columbia Mall in suburban Washington, D.C., Saturday were young co-workers at a skate shop popular with teens -- and one was a store manager raising a 2-year-old child. 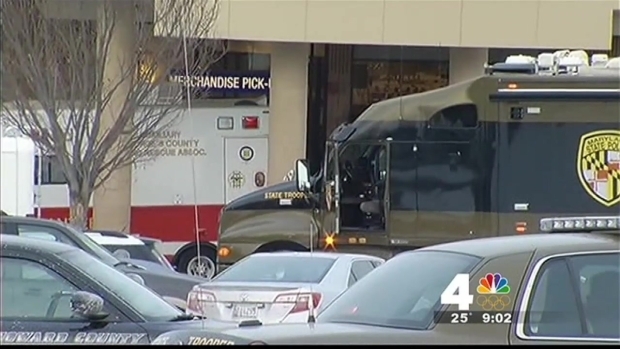 Details about their lives are beginning to emerge as the investigation into Saturday's deadly shooting at the Maryland mall continues. Brianna Benlolo, 21, of College Park, Md., and Tyler Johnson, 25, of Mt. Airy, Md. were shot and killed inside the Zumiez store where they worked, police said. The suspected gunman, Darion Marcus Aguilar, of College Park, died at the scene of an apparent gunshot wound. Benlolo had a 2-year-old son, said her housemate, Corey Lewis. Lewis called her "a wonderful mom and a wonderful person." News4's Darcy Spencer has more on the two victims of the Columbia Mall shooting: Brianna Benlolo, 21, of College Park, Md. and Tyler Johnson, 25, originally of Ellicott City, Md. and more recently of Mt. Airy, Md. He said she had lived in the College Park house for about two months. Benlolo's grandfather, John Feins, told The Associated Press in a telephone interview from Florida that his granddaughter's job at Zumiez was her first since she went back to work after her son's birth. "She was all excited," he said. Tyler Johnson had recently moved to Mt. Airy from Ellicott City, Md. "It's a parent's worse nightmare. You don't realize it until you're in the middle of it," Johnson's uncle, George Sliker, said of his nephew's death. "He was just unfortunately at work, which for kids these days is a good place to be." Sliker decribed his nephew as shy, a good kid, who was volunteering with an organization in Mt. Airy that helped people addicted to drugs. "The people there thought a lot of him, you know. They thought that this was his calling even." A neighbor in Mt. Airy said he was stunned to hear that his quiet neighbor was the victim of the shooting. "Floored -- had no idea," said Gregg Todd. "I didn't even that know he worked in the mall. Our thoughts and prayers are with the family -- very nice, very quiet, very good family." On Johnson's Facebook page, he was frank about his process in recovery, announcing celebrations of his one and two years of sobriety. He started working at Zumiez in November 2013.